Port Medway Marina is proud to have established an enviable reputation with our provision of dry dock facilities and associated works. 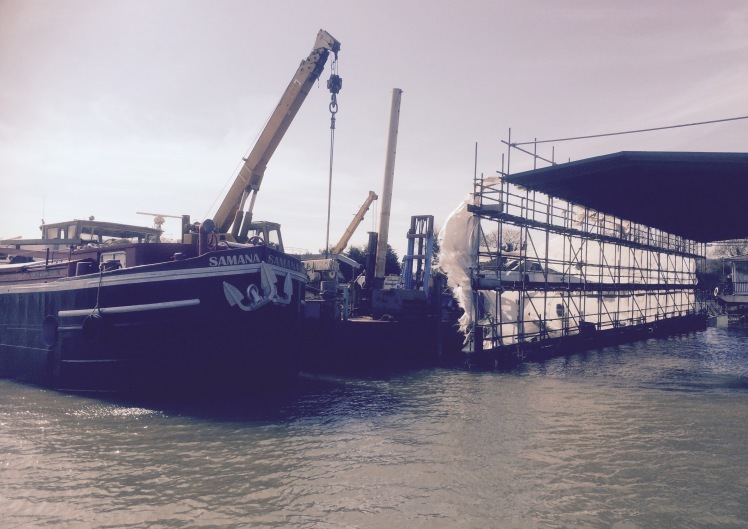 We currently have one custom built, covered dry dock in operation which is able to accommodate vessels up-to 40 metres in length (maximum beam 6.2 metres). 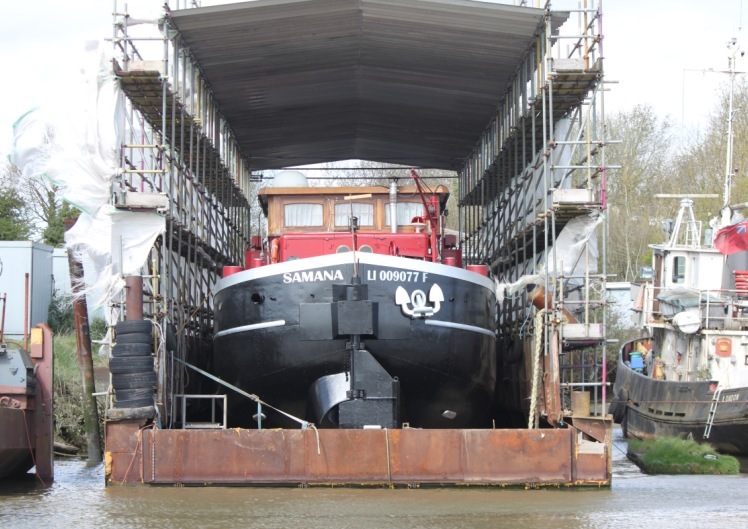 A dry dock is a sealed docking facility into which a vessel can be floated, the water is then drained from the dry dock, leaving all parts of the hull of the ship accessible for construction or maintenance. We have a full team of skilled craftsman on site including mechanics, welders, carpenters, electricians and painters or you are welcome to undertake your own work (excluding blasting and welding).